A group of Palestinian fishing boats that sailed off the shore of Gaza to challenge an Israeli naval blockade of the coastal enclave drew warning shots from the Israeli navy on Saturday, the boats’ organisers said. About 20 fishing boats set sail from Gaza City port toward the maritime border with Israel. The Gaza Health Ministry said there were no casualties reported. An Israeli military spokeswoman said the navy gave the boats verbal warnings before firing in to the air. Palestinian witnesses said some of those on board set tyres alight and set them afloat toward the maritime border before they were confronted by four Israeli naval vessels. Israel says its naval blockade of Gaza is intended to prevent weapons from reaching militant groups, including Hamas, the populist movement that controls the Palestinian enclave. Israel and the West designate Hamas as a terrorist organisation. More than 2 million Palestinians are packed into the Gaza Strip, which is experiencing deep economic hardship. Israel and Egypt, citing security concerns, keep tight restrictions on their land crossings with Gaza which have reduced its economy to a state of collapse. UN and Egyptian-led efforts are under way to mediate a long-term ceasefire between Israel and Hamas who have fought three wars since 2008. The bid is also meant to tackle humanitarian issues in Gaza and improve its economy. Adham Abu Selmeya, one of the flotilla organisers, said the event was meant to send a message to all parties involved in the ceasefire efforts. “We want the world to see the reality of the blockade and the suffering of the people of Gaza, and we will not accept anything less than lifting the blockade once and for all,” he said. Cross-border violence has spiked in the past few months. Since the weekly protests began on March 30, the Israeli army has killed 161 Palestinians and a Gaza sniper has killed an Israeli soldier. On Thursday, Egyptian mediation ended a two-day wave of rocket barrages and air strikes between Israel and Gaza militant groups. Israeli settlers attend an inauguration ceremony for a tourist center in Silwan, August 1, 2018. 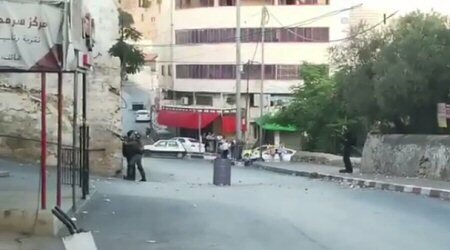 Two Palestinians were arrested prior to the event and dozens of others were forcibly cleared from the streets by fully armed Israeli police. 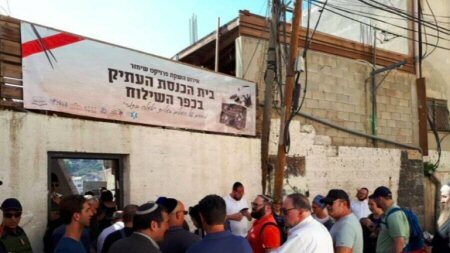 The Israeli government on August 1, 2018 held an event marking the opening of a settler-run “Jewish heritage center” in the Batn al-Hawa area of Silwan in East Jerusalem. Silwan is a densely populated Palestinian neighborhood adjacent to al-Aqsa Mosque that already suffers from multiple, expanding Israeli settlements and settler-run tourist sites. 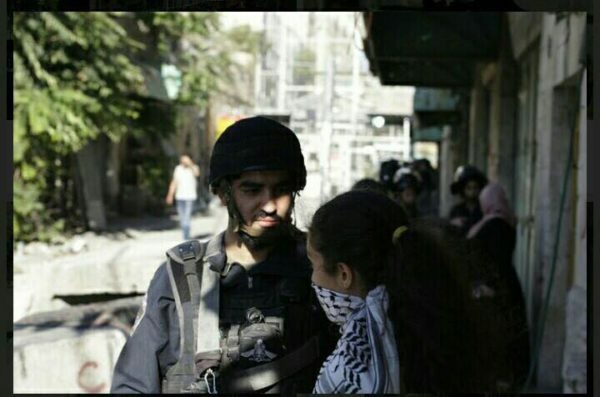 Prior to the inauguration ceremony, fully armed Israeli police descended upon the neighborhood. Security forces arrested and interrogated Nuheir Rajabi, head of the Batn al-Hawa Council, and Jawad Siam, director of the Wadi Hilweh Information Center. Police also cleared the roads of Palestinians and Palestinian journalists, ordering them to leave the area, and blocked many roads, which created massive traffic jams. Ateret Cohanim, a settler organization that seeks to impose a Jewish demographic majority in Jerusalem via religious schooling and settlement expansion, owns and manages the new center. They confiscated the building from the Abu Nab family, which had lived there since 1948, when they were expelled from West Jerusalem. Israel’s High Court granted Ateret Cohanim ownership of the property based on the claim that the group represents the Jewish Yemenite immigrants who owned the property in the beginning of the 19th century and used it as a synagogue. Ateret Cohanim also leveraged The 1970 Legal and Administrative Matters Law, which empowers Jews to reclaim property in East Jerusalem lost before 1948 even if they have already been compensated by the Israeli government for that loss. The Absentee Property Law of 1950 bars Palestinians from filing similar claims. The Israeli Ministry of Culture has pledged to fund the transformation of the Abu Nab house with 3 million shekels (about $800,000). The Jerusalem Affairs Ministry will supply another 1.5 million shekel (about $400,000). At the inaugural event, Regev said: “Look around. We are surrounded by Jewish heritage. The archaeologists won’t find a single Palestinian coin here! We have come home.” “The State of Israel is the nation-state of the Jewish people alone. Only the Jewish people are entitled to national rights between the river and the sea,” she added. Israeli Jerusalem affairs minister Ze’ev Elkin and former US presidential candidate and Governor of Arkansas Mike Huckabee also attended the event. Israeli media reports that Huckabee had just arrived to Jerusalem after laying a cornerstone for another settlement expansion project in the West Bank. Palestinian neighborhoods in Jerusalem are the target of Israeli settlement plans, which aim to link four concentric circles of settlements, starting with the Old City, followed by the “Holy Basin” (Silwan, Sheikh Jarrah, a-Tur, Mount Zion, and the Kidron Valley), Jerusalem’s annexation border, and finally the West Bank. Promoting tourism is one method the Israeli government uses to carry out these settlement plans, especially in Jerusalem. Earlier this year, Regev announced that the Israeli government would funnel 17 million dollars to the settlement archeology site in Silwan known as the City of David. The center sits on a confiscated Palestinian home and orchard. Although the City of David is part of the Israel Nature and Parks Authority, it is administered by settler organization Elad, which – like Ateret Cohanim – seizes Palestinian property in Jerusalem to establish new settlements. Israeli journalist Gideon Levy scanned the accounts of Israeli officials on social media and found their posts reflecting how much they are thirst for blood. While all this was happening, Levy wrote to Haaretz, Inas, a Palestinian mother in her ninth month of pregnancy and her 18-month-old Bayan Khammash’s house was hit by an Israeli jet that tore then into pieces. The father of the family, Mohammed, was seriously wounded. Their killing did not satisfy the thirst for blood on social media in the slightest. It barely earned a mention in the mainstream Israeli media, which were far more concerned by the cancellation of a wedding in Sderot. That is always Israel’s order of priorities. Speaking about the Israeli media, Levy said that the complete disregard for the victims, even the killing of a pregnant mother and her daughter, is an act of collaboration with wartime propaganda. The complete public indifference to every killing, coupled with the thirst for blood that has become politically correct, is also evidence of an unparalleled nadir. It is not hard to imagine what would have happened, both in Israel and abroad, if Palestinians had killed a pregnant Israeli woman and her baby daughter. But Inas and Bayan were Palestinians from Dir al-Balah. Levy wondered: “Are there still any Israelis who glanced for a moment at their own loved ones and imagined the atrocity of killing a pregnant mother with her baby in her arms? Does the thought still pass through anyone’s mind here that Inas and Bayan were a pregnant mother and her baby daughter, like the neighbors across the way? Like your daughter and granddaughter. Like your wife and daughter. “Can thoughts like these still arise even for a moment, given the onslaught of dehumanisation, propaganda and brainwashing, which justifies any killing and blames the entire world, with the sole exception of those who committed it? Given the media, most of which just wants to see more and more blood being spilled in Gaza, and even does everything in its power so that blood will actually be spilled? Given the usual excuses that the Israeli occupation forces never intend to hit a pregnant woman and her daughter, they merely happen to do so, again and again and again and again? Levy recalled his last trip to Gaza: “On one of our last trips to Gaza, in September 2006, photographer Miki Kratsman and I went to the Hammad family’s house in the Brazil refugee camp in Rafah. A huge crater had opened up a few hundred meters from the miserable tin shack we entered. In the dim room, we saw nothing but a crushed wheelchair and a crippled woman lying on the sofa. 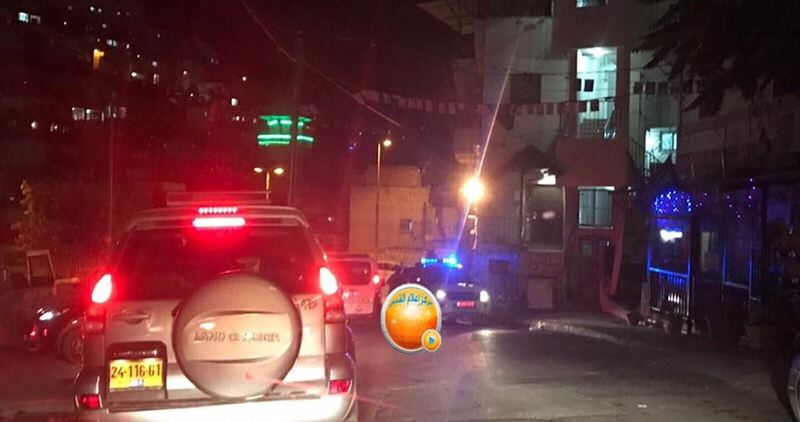 Dozens of Palestinian citizens were injured Saturday evening during confrontations with the Israeli police in Shu’fat refugee camp, northeast of Occupied Jerusalem. 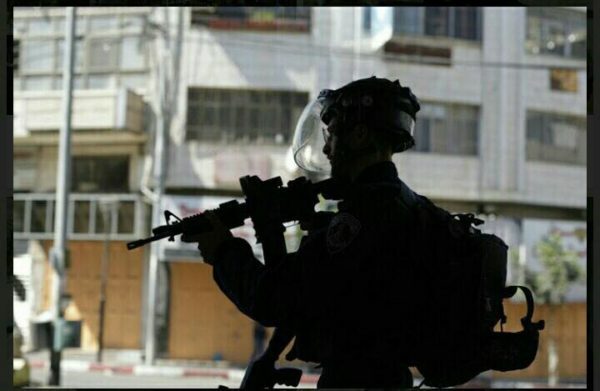 Fatah spokesman in Shu’fat Thaer Fasfous said that the Israeli police broke into Palestinian houses in the camp and searched them. 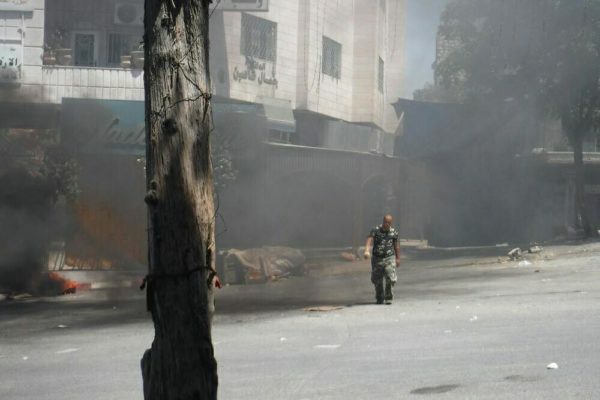 Fasfous added that violent clashes broke out between Israeli policemen and Shu’fat youths. The police heavily fired teargas canisters and sound bombs while the youths responded by throwing stones and Molotov cocktails. He added that dozens of Palestinian citizens suffered breathing difficulties as a result of inhaling teargas, without giving detailed information about their health conditions. 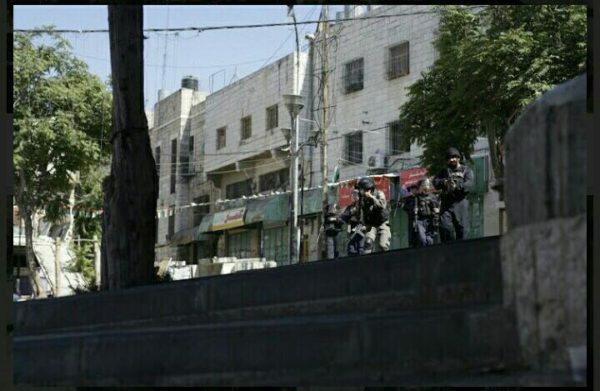 The Israeli police launch raid campaigns into Shu’fat camp on a regular basis. 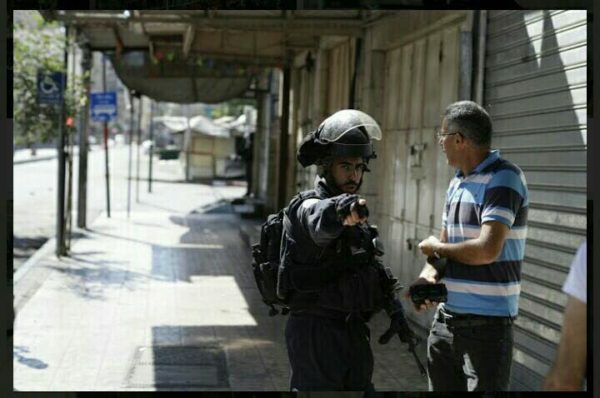 The Israeli raids are usually accompanied by clashes and arbitrary arrests. Israeli occupation authorities will set up more cellular antennae in the West Bank in order to improve the transmission of telephones operating in Israeli settlements, illegally built on Palestinian land. The move follows a meeting between Israeli Communications Minister Ayoub al-Qara and the West Bank Security and Civil Affairs Committee. Israel Hayom newspaper reported Sunday that the work is due to be completed by the beginning of next year. 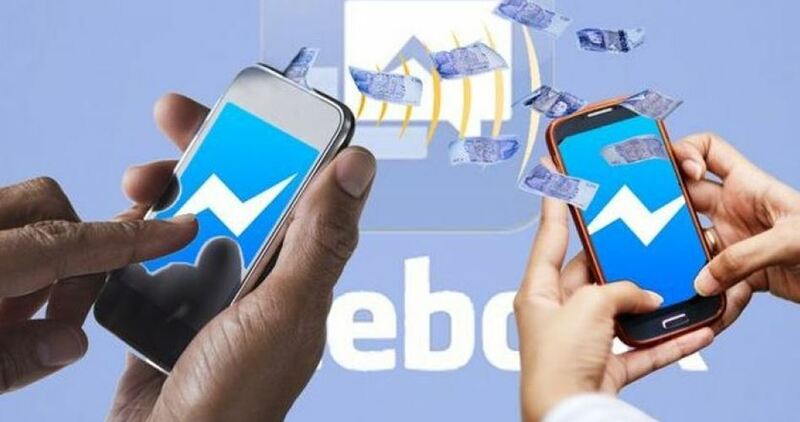 The same newspaper reported two weeks ago that PHI, which won a tender to build cellular infrastructure for the Israeli occupation army in the occupied West Bank, would also cover the transmission of “civilian” phones in areas where there is presently a shortage. The improvements are mainly aimed at serving hundreds of thousands of settlers in the occupied West Bank. Indeed, the company has begun to expand its infrastructure and built 15 out of its 35 plans, improving transmission in large areas, according to Hayom. But the newspaper said that in addition to the 35 military antennae, 30 more would be set up. On 10 August, Abdullah Al-Qutati, a first responder, was killed by Israeli forces while working to help those injured during protests east of Rafah in the south of the Gaza Strip. He is the third health worker to be killed since demonstrations began as part of the Great March of Return in Gaza on 30 March. WHO reiterated that the protection of health workers, patients and health facilities must be respected. Abdullah was 22 years old and grew up in Tal As-Sultan, a refugee camp on the outskirts of Rafah, in the south of the Gaza Strip. He was in the final year of his psychology degree at Al Aqsa University in Gaza City, and from January 2018 had been volunteering with Nabd Al-Hayat (Life’s Pulse), a team providing first aid training as well as mental health and psychosocial support around Rafah. 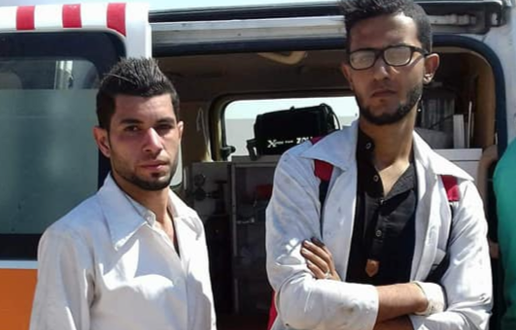 Since the start of the Great March of Return, Abdullah and the Nabd Al-Hayat team had been volunteering as first responders during the demonstrations, at the Ministry of Health medical point east of Rafah. First responders provide immediate treatment and evacuation for those injured. Abdullah liked to be photographed in his white coat, and his colleagues say he was proud of the work he was doing and the service he could offer to his community. Abdullah was shot on 10 August while providing care to a 55-year-old man who had also just been hit by live ammunition. Abdullah was shot at approximately 6:25pm and was pronounced dead at 6:46pm after he had been taken to the European Gaza Hospital. The injured patient he was treating at the time, Ali Al-Alol, also later died. On 10 August, initial reports indicate that there were at least five incidents of attacks on health with five health workers injured besides Abdullah, and an ambulance damaged. 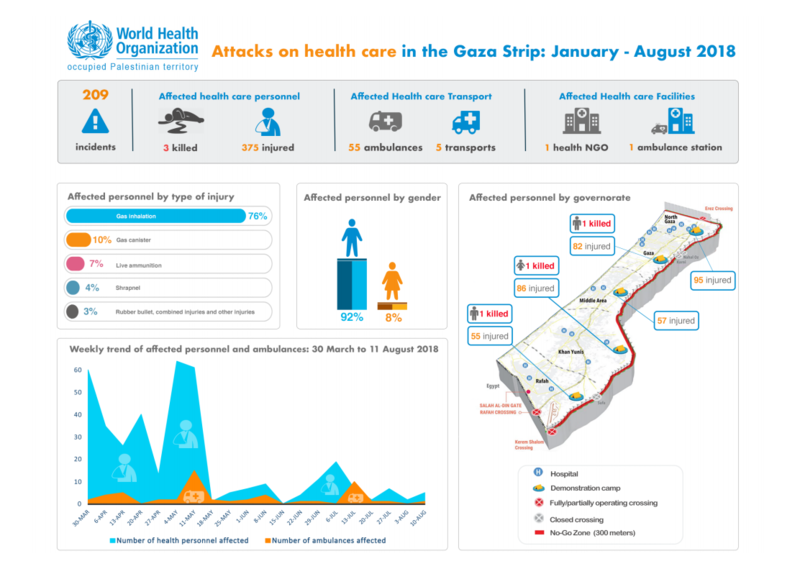 These attacks are in addition to the 203 recorded incidents against health staff and facilities from 30 March to 3 August, which affected 373 health workers (2 of whom had died), 59 health vehicles and 2 health facilities. Overall, 164 people have been killed and 17,566 injured since the start of the demonstrations on 30 March, including preliminary figures released by the Ministry of Health for 10 August. OCCUPIED AL-QUDS, PALESTINOW.COM — Israeli police on Saturday arrested two Palestinian youths as they were leaving al-Aqsa Mosque in Occupied Jerusalem. Muntaha Abu Shaqra told Palestinian reporter that the Israeli police stopped her brothers Qutaiba, 20, and Hasan, 19, at al-Asbat Gate and arrested them. 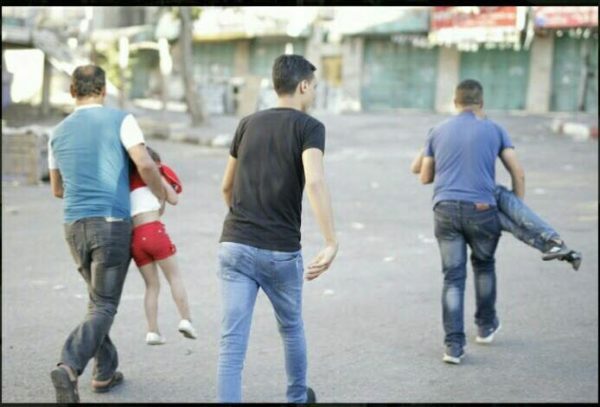 She added that her brothers were later transferred to al-Qashla detention center for interrogation. 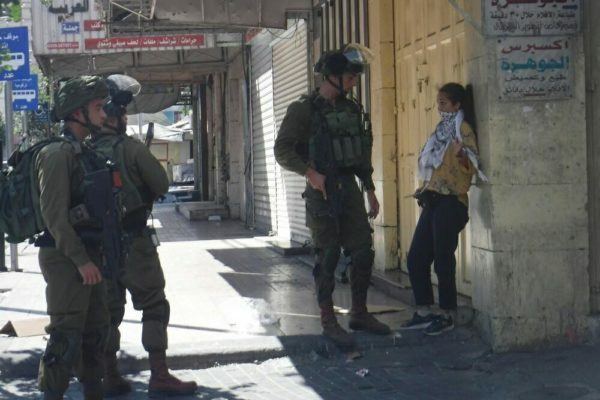 Muntaha last Wednesday was banned by the Israeli police from entering al-Aqsa Mosque for two weeks following hours of interrogation over her presence in Bab al-Rahma area near the Mosque. 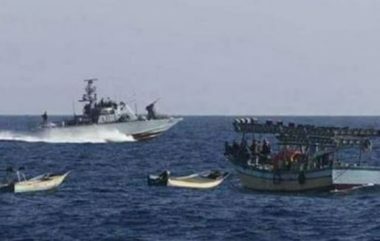 Israeli navy ships attacked, on Sunday morning, Palestinian fishing boats in the Sudaniyya Sea area, northwest of Gaza city, and abducted five fishermen from the same family. The navy fired many live rounds at the fishing boats, and abducted Nasser Fadel Bakr, and his sons Fadel Nasser Bakr, Ahmad Nasser Bakr and Yasser Nasser Bakr, in addition to his brother Hasan Fadel Bakr. The attack is part of ongoing Israeli violations against the Palestinians in the besieged and impoverished Gaza Strip. Israeli attacks against the Palestinian fishermen have led to dozens of casualties, including fatalities, in addition to the excessive property damage and the illegal confiscation of their boats, and the ongoing abduction and imprisonment of the fishermen. In February of this year, the Israeli navy killed a Palestinian fisherman, identified as Ismael Saleh Abu Ryala, 18, from Shati’ refugee camp, west of Gaza city, and injured two others. In May of last year, the navy killed a fisherman as Mahmoud Majed Bakr, 25, in a similar violation, less that four nautical miles from Gaza shore.